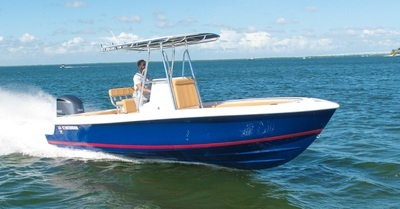 Call us to go over the options on this boat that is ready for immediate delivery or custom build your own. Call GUS 305.394.1374 or Virgil 305.747.1922 for more details. 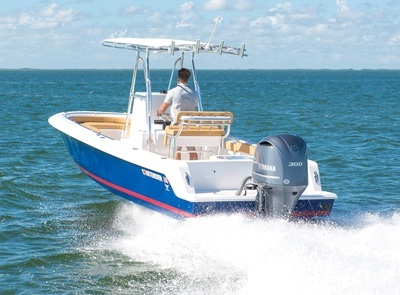 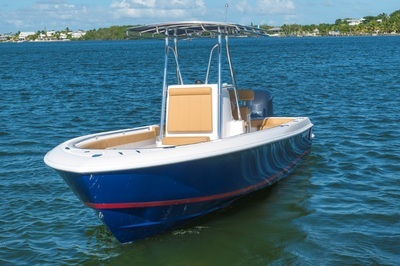 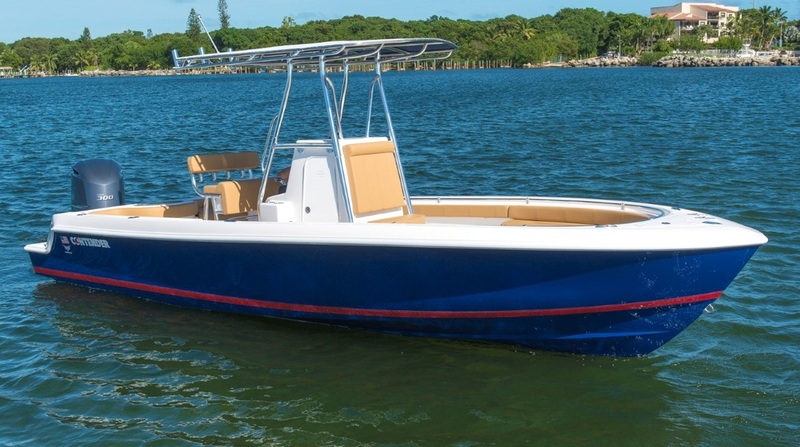 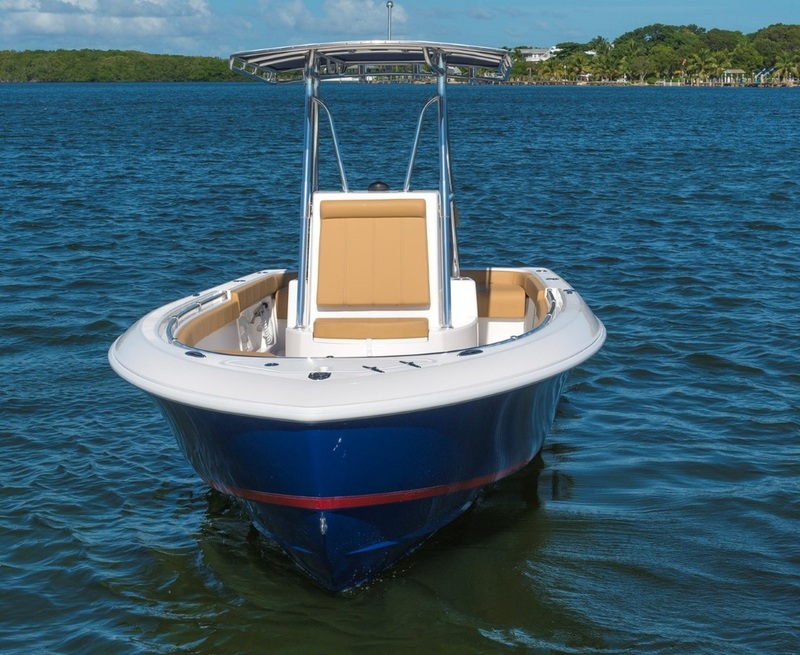 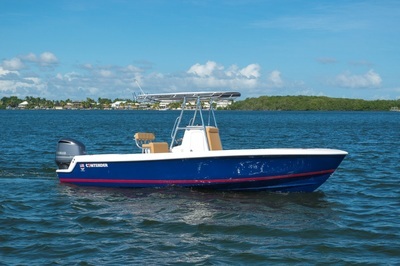 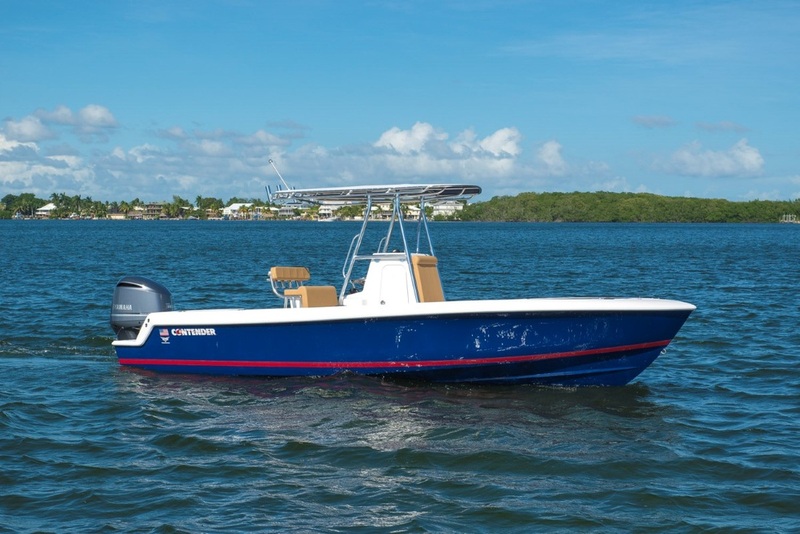 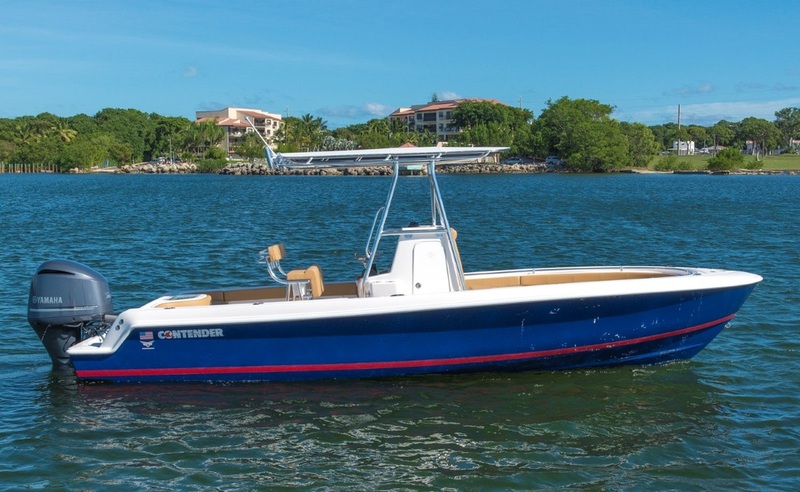 This is the ultimate South Florida and Florida Keys boat! 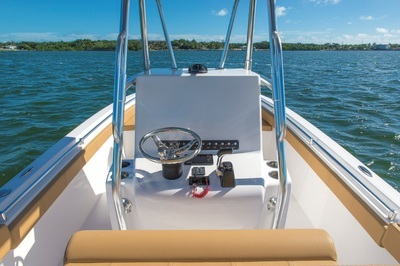 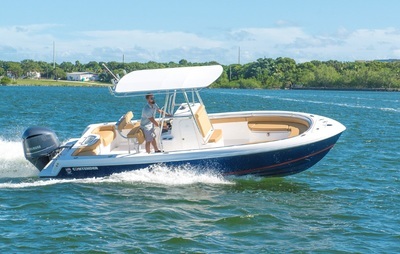 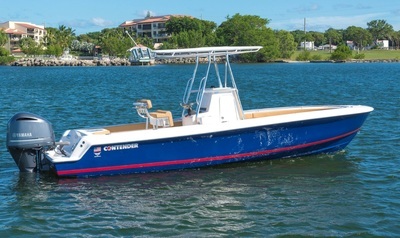 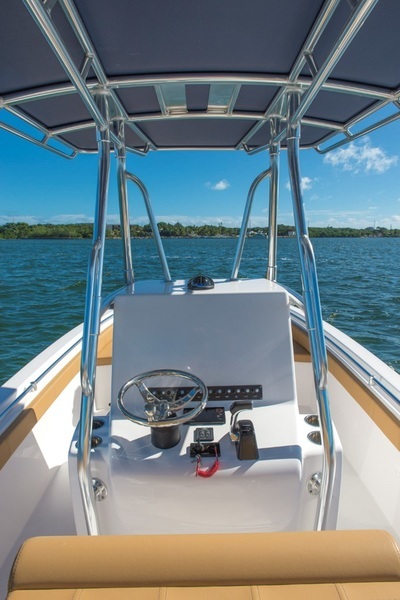 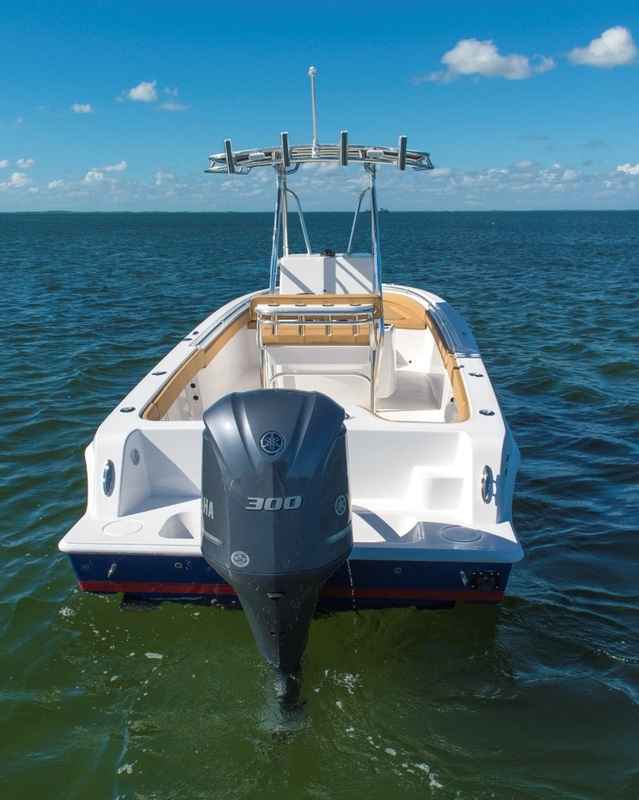 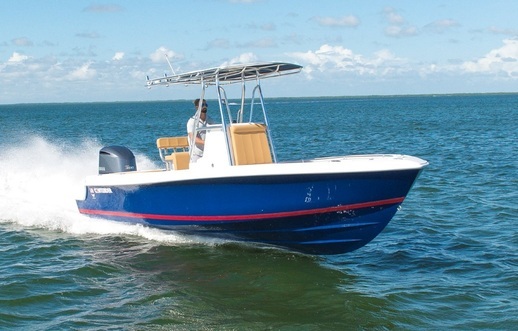 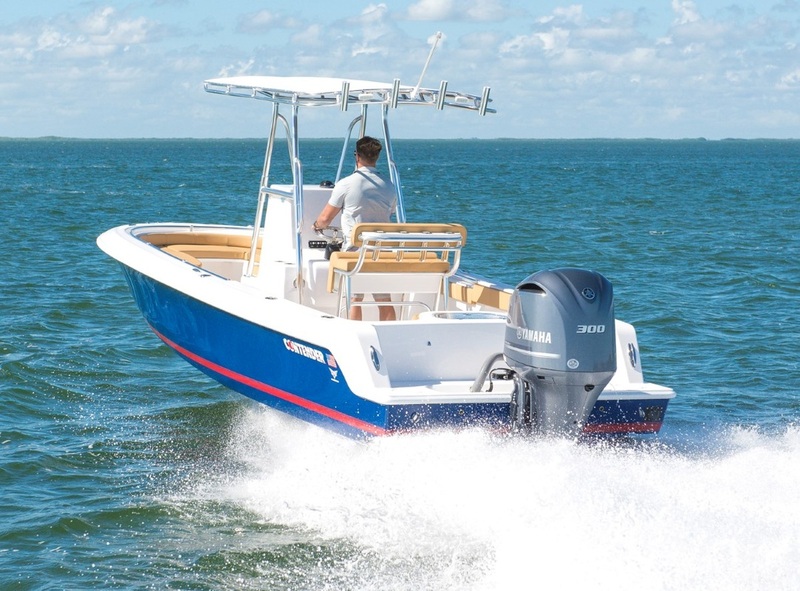 The functionality of a Bay boat to get in all the fishing creeks, sand bars, and restaurants of the Florida Bay, with serious offshore fishing capabilities. 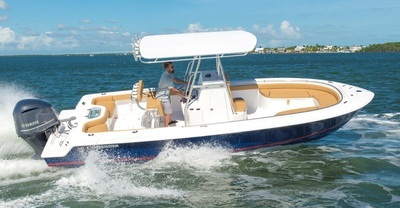 Plenty of seating for the entire family with both bow and stern seats. 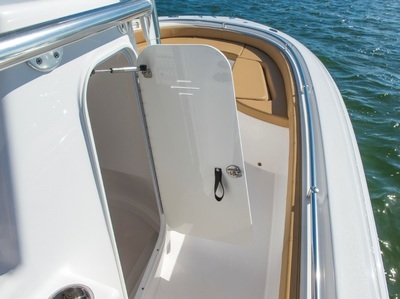 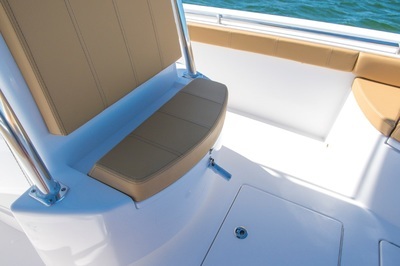 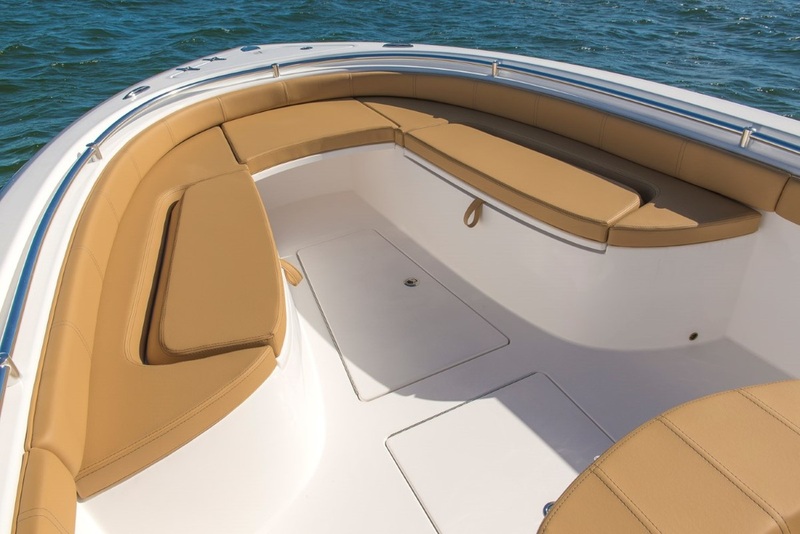 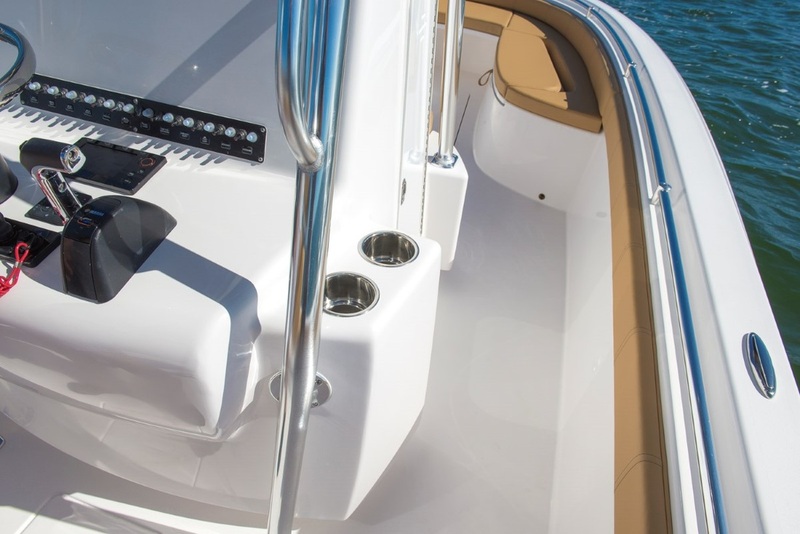 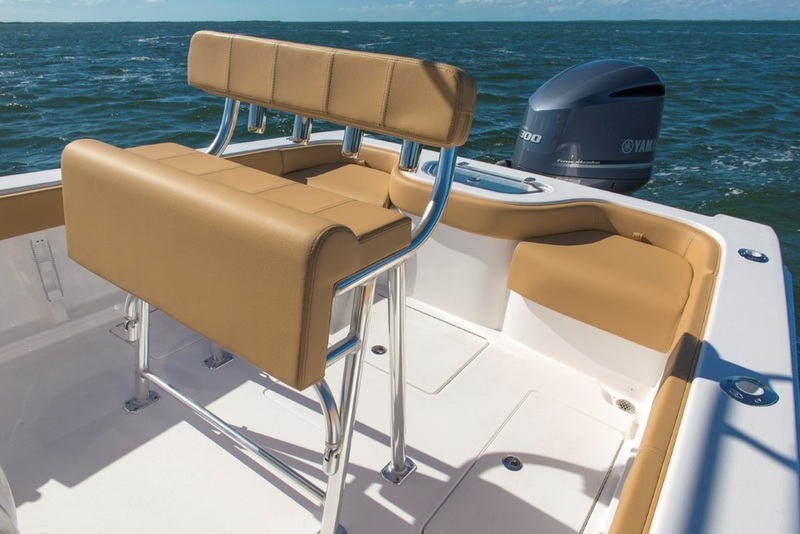 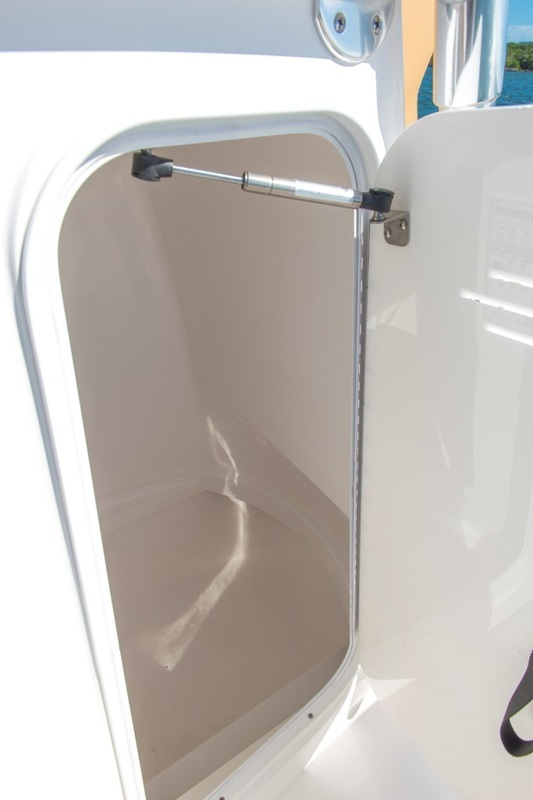 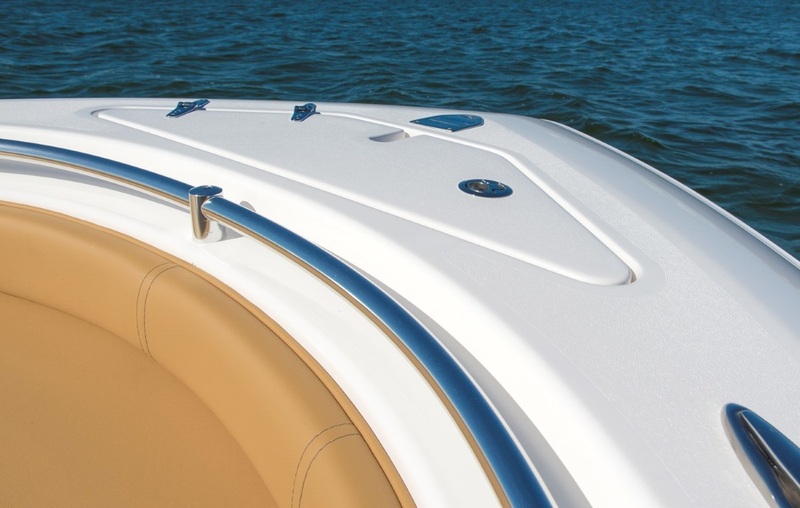 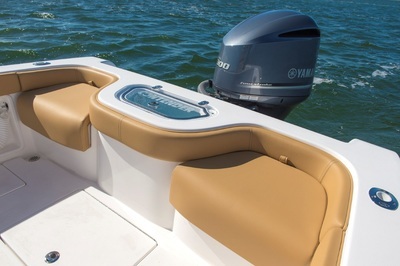 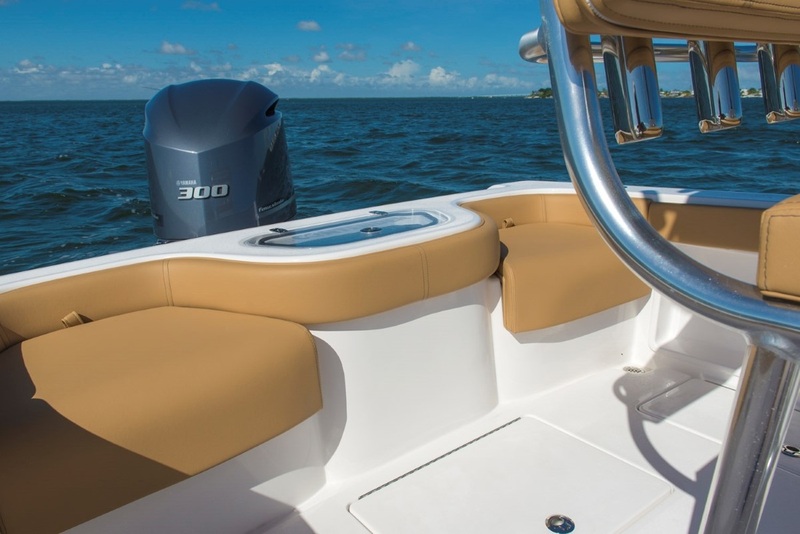 The fwd seating has a filler cushion that removes easily and allows access all the way to the anchor locker. 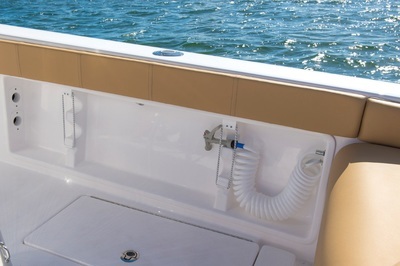 This makes for not only easy access to the anchor but also gives you the capability to comfortably fish the bow. 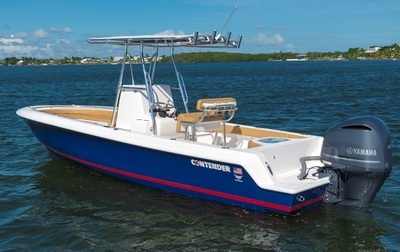 A total of 4 fish boxes, plenty of insulated storage, and a large 26 Gallon transom live well, will help make your fishing trip a success! 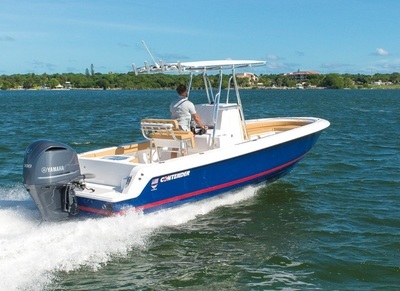 Add a tow bridal and you truly have the best looking and performing TENDER in its class! Stunning combination of the Gorgeous Aristo Blue Gelcoat side hull color down to the keel w/ red boot stripe and the camel colored interior. 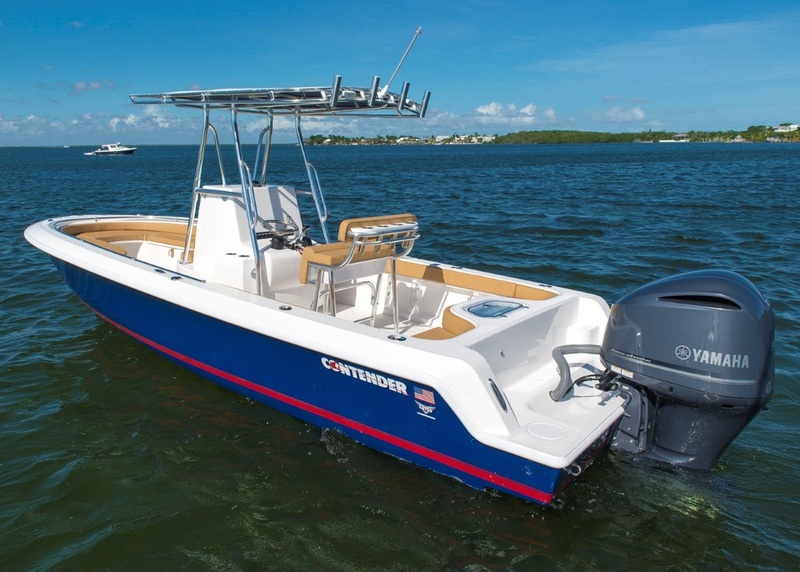 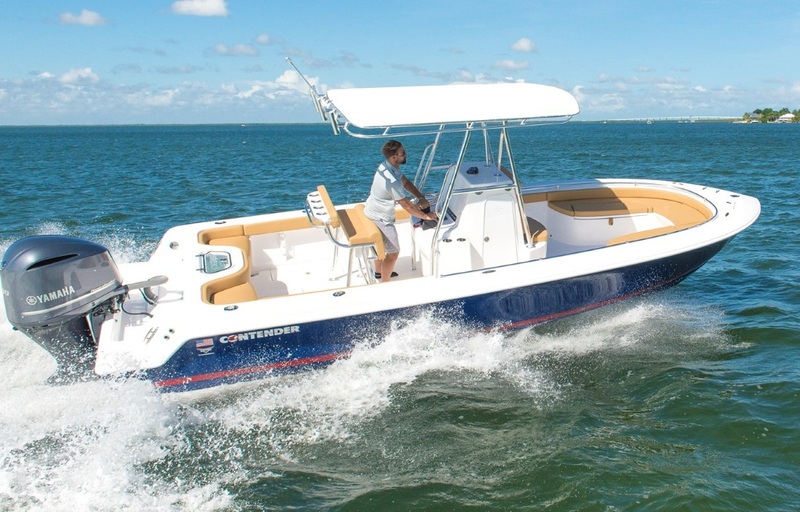 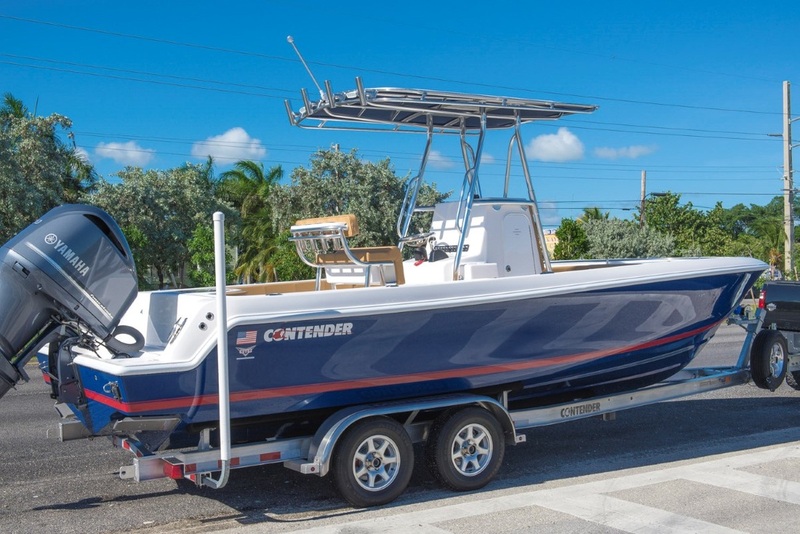 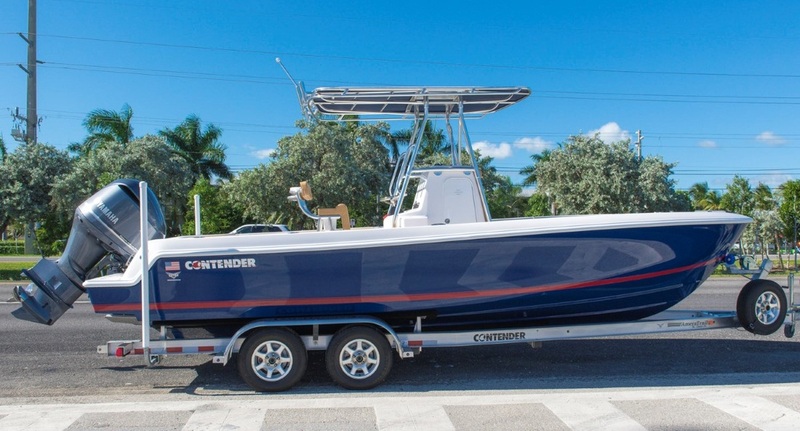 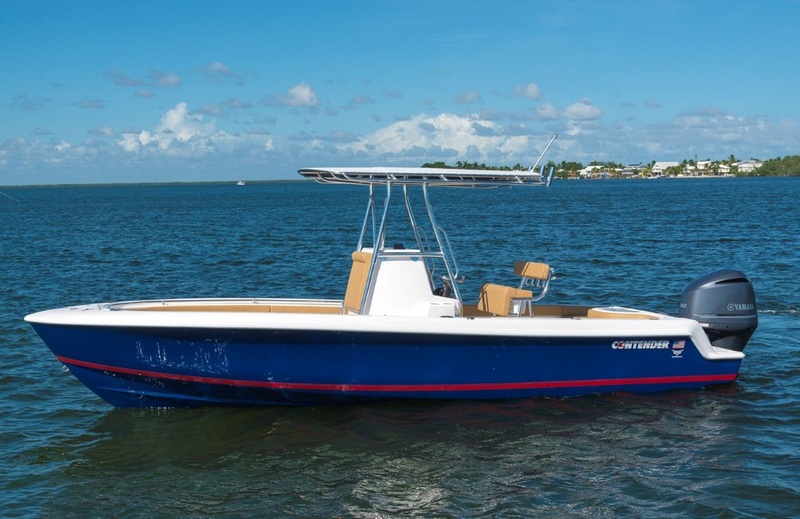 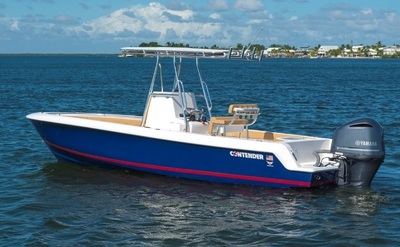 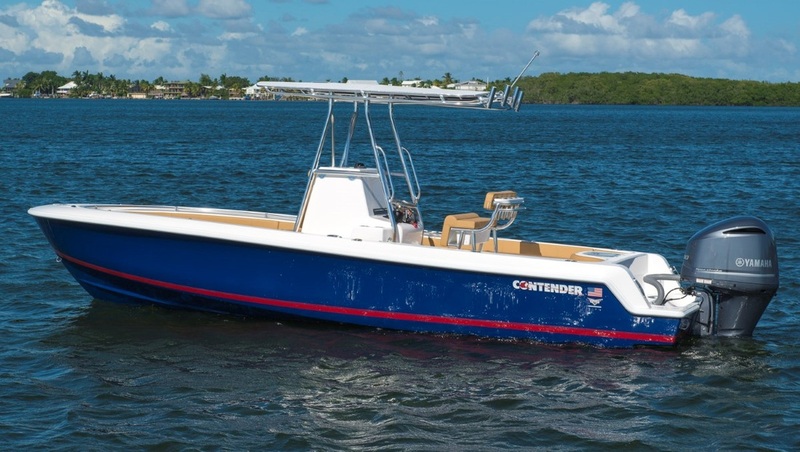 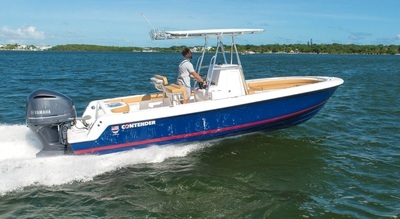 Fishing boat review video of the Contender 24 Sport.